The first Pilgrimage in our series was a one-off; a pilgrimage to "beat the bounds" of the Arundel and Brighton Diocese, starting and finishing at our Cathedral at Arundel, a special event for the Holy Year. 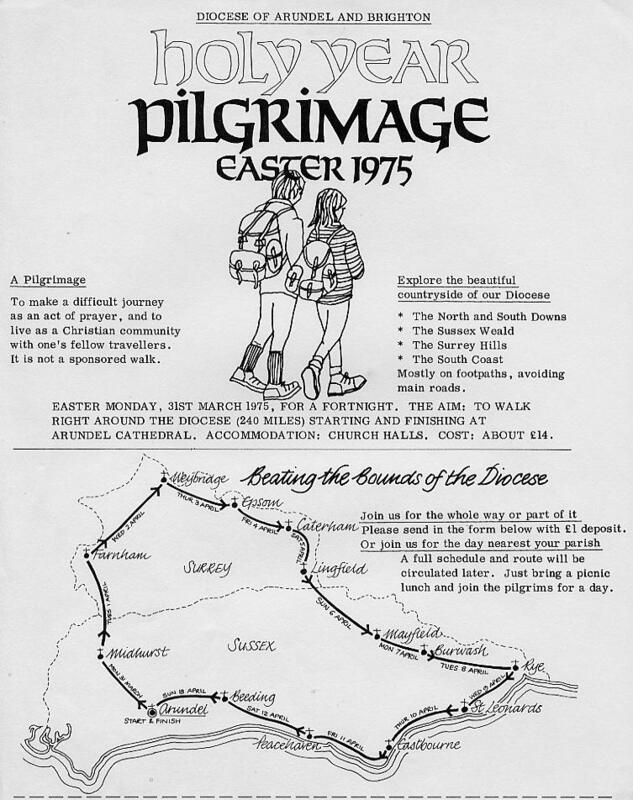 Unlike its successors, this pilgrimage took place at Easter, starting on Easter Monday, and in 1975 Easter was early, and there was snow! The days were long, we had no days off, and lunches were picnics as often as not. We stopped to pray at the Catholic churches we passed, plus Anglican village churches. 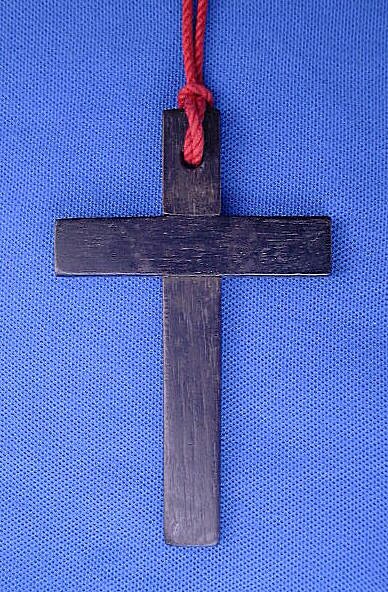 Each pilgrim wore a simple wooden cross. Click on the map to see details of each day.